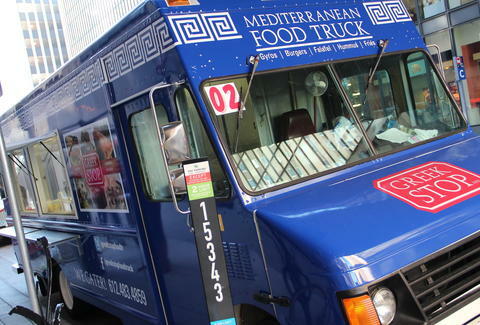 For a culture whose ancient ancestors were masters of engineering and stuff, it sure took the Greeks long enough to get a food truck. Behold, Greek Stop Mediterranean, likely held together by a complex system of pulleys and fulcrums. The outside looks nice, though. 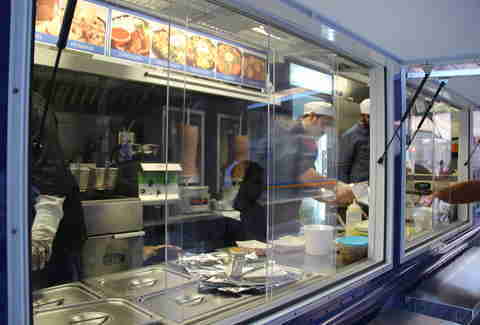 And the big window allows for solid food preparation leering. 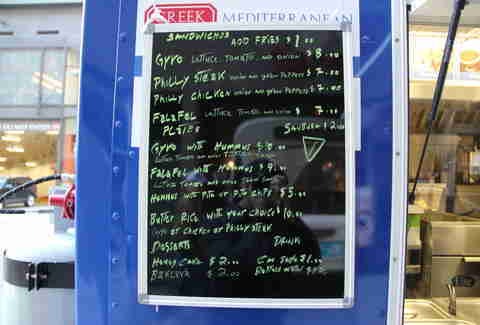 Enjoy traditional Greek cuisine like falafel, hummus, and Philly cheesesteaks, originally foretold by the Philla-delphic Oracle. 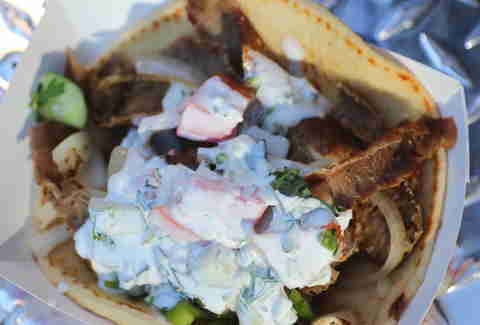 The portions of yogurt-slathered lamb gyro are extra large, just like the sweatpants size of anyone able to take them down. 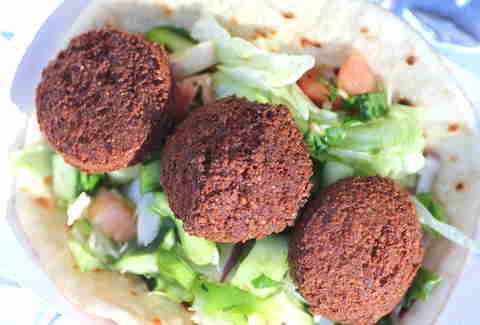 Holy (falafel) balls! 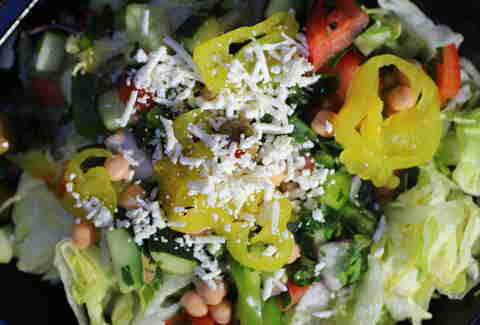 And there's also a Greek salad in case you're interested in being at least semi-healthy, and continuing to get out of bed without the use of a complex system of fulcrums and pulleys.